Cheerful cushion made from a vintage Paisley shawl, in oranges and greens. 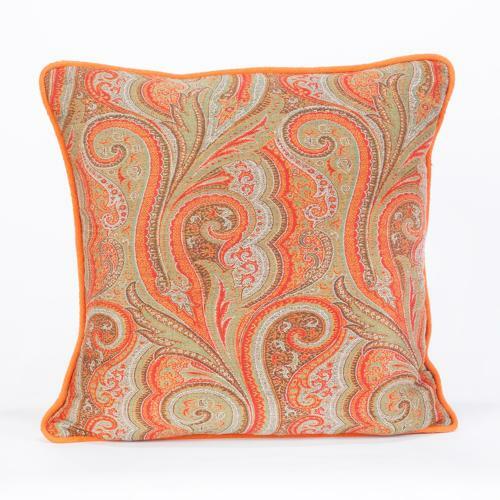 The cushion is piped and backed in hand dyed orange antique linen, has zip closure and feather pad. The cushion is available to view in my studio in Purley by appointment or please ask for a shipping quote.